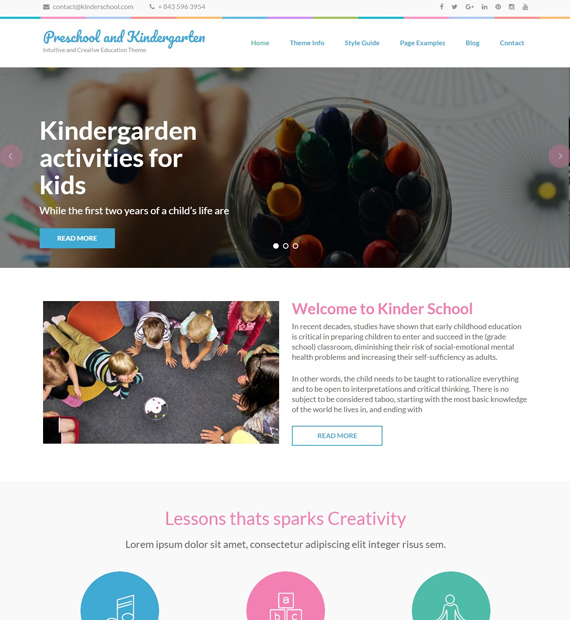 Preschool and Kindergarten is a multipurpose WordPress educational theme that helps you create an intuitive website for your Kindergartens, Daycare, Primary Schools, Secondary Schools, and High Schools for free without any coding skills. The color combination used on the theme helps you establish trust with the parents. The free theme comes with advanced features like a featured slider, about us, courses offered, client testimonial, featured programs, and faculty section with a seamless navigation menu.